Expert System SpA, the leader in semantic technology for information management and big data listed on the AIM Italia, today announced a collaboration with Buzzoole, the first native content platform provider. With Cogito, Buzzoole customers can take advantage of semantic technology to optimize their digital marketing activities, bringing a deeper level of understanding to their marketing campaigns. Buzzoole, the innovative startup from tech incubator Digital Magics and listed on the AIM Italia, is the first company to benefit from the support program by Expert System and Digital Magics for digital startups, an initiative that provides free semantic intelligence technology for the first 18 months. Today, strategic business processes and marketing depend on more than real-time management of big data: they also require an understanding of the significance of the information. This is especially important when it comes to exploiting online user data, such as that managed by Buzzoole. 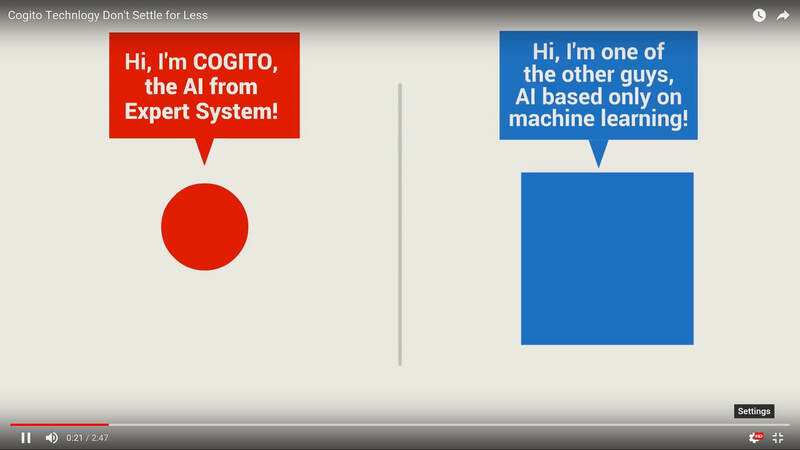 Overcoming the limitations of traditional approaches (statistical algorithms, keyword identification and extraction), the Cogito semantic technology from Expert System ensures a real understanding of the meaning of words and proper identification of the meaning of phrases, even in contexts where the speed of information is very high, such as the Internet. The collaboration with Buzzoole supports the Expert System strategy for developing new applications with technology incubators, business accelerators and digital businesses using semantic analysis and natural language processing. The partnership between Expert System and Digital Magics, both listed on the AIM Italia, aims to support Italian startups by giving new business incentives through the launch of high-value technology projects while contributing to culture of innovation. Based on the framework agreement with Digital Magics, Expert System will retain a small equity stake in Buzzoole following the trial period for the use of Cogito. The company is extending this initiative to other selected incubators. Digital Magics is a certified venture incubator of innovative online start-ups that offer content and services with a high technological value. Digital Magics is listed on AIM Italia, the Alternative Capital Market dedicated to small and medium-sized Italian enterprises with high growth potential. It is organised and managed by the Italian Stock Exchange. Digital Magics builds and develops internet startups, working alongside their founders, investing equity and providing acceleration services. It takes the talent and ideas and transforms them into disruptive businesses that are successful in the Italian and international online economy. The incubator promotes a culture of entrepreneurship and risk, contributing to economic growth and employment for young people. Digital Magics offers services to support innovation, the creation and development of online start-ups, and it supports them in the search for new private and public investors, Italian or international, to fund the next stages of development. The Digital Magics model is unique in Italy and is based on the Digital Magics LAB: the team that identifies, analyses and launches new ventures, providing start-ups with innovative mentorship, financial, administrative, strategic, logistical, technological, communication and marketing services. It also offers business management support that is capable of accelerating the growth process of a business. Digital innovative startup of 56CUBE, Southern Italy’s incubator – is the first Italian platform of IEO (Influence Engine Optimization) that optimizes user’s online presence. Thanks to the algorithm developed by the founders, Buzzoole permits both large industries as well as small businesses, Italian and international, to identify the influencers in their target markets and to generate word of mouth about products and services identified through trendsetters, reimbursing them with dedicated offers such as discounts, testing products and exclusive invites. Thanks to Buzzoole’s technology companies can plan buzz marketing campaigns while staying autonomous and having a free and flexible budget.